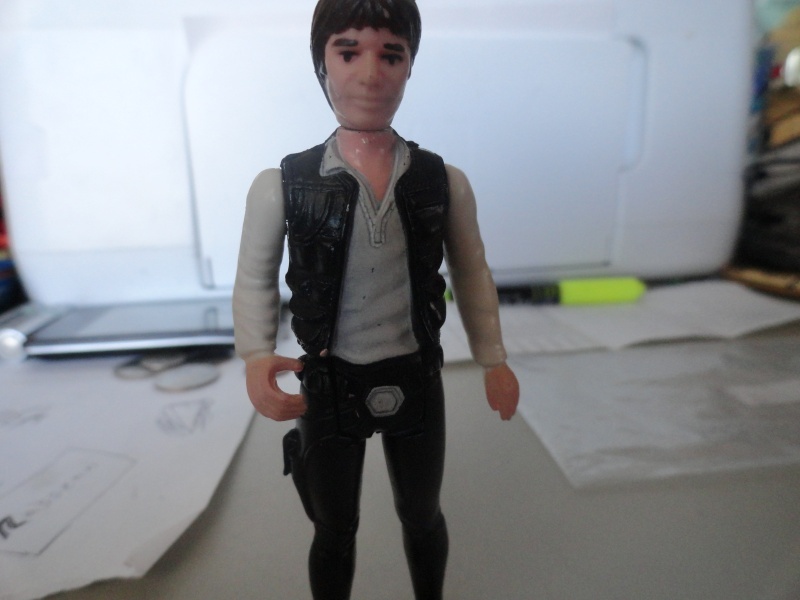 I have this Han Solo and it has a lot of imperfections on it. Unfortunately I can't determine if it is a POCH, pbp, or just a regular old kenner figure. I hope its a rare variant. I see it aussie but not sure if I understand it. 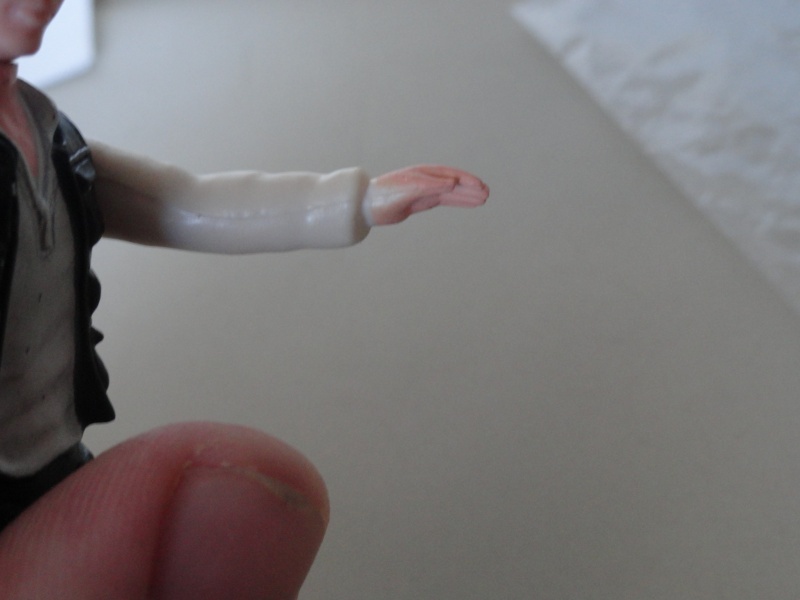 Here's my observations: Compared to confirmed POCH Hans your figure has a larger area of the belt buckle painted, also yours has a much stronger shade of pink used for the hands & neck. Here's a picture of my example next to a Kenner figure (POCH on the right). I see, so does that make mine just a regular old kenner one that has some major imperfections for just 1 figure? 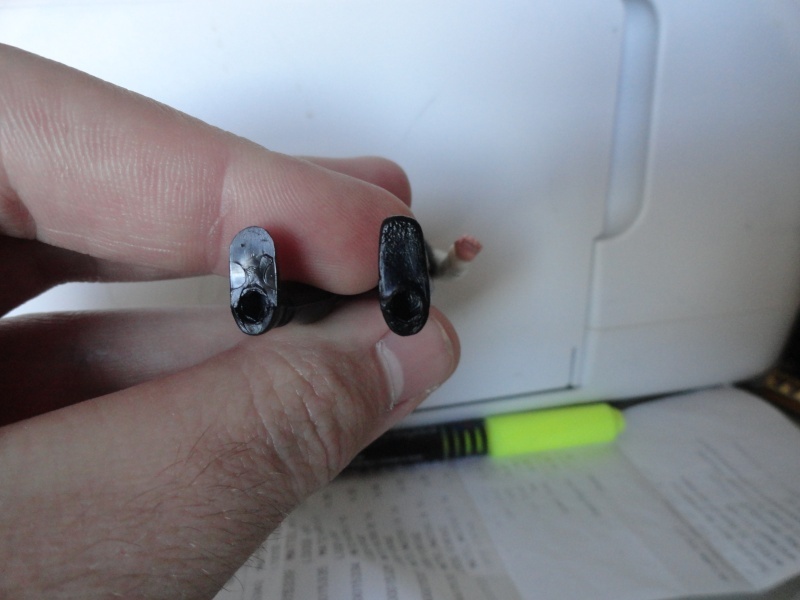 Melt marks and other imperfections can be seen on Kenner figures. 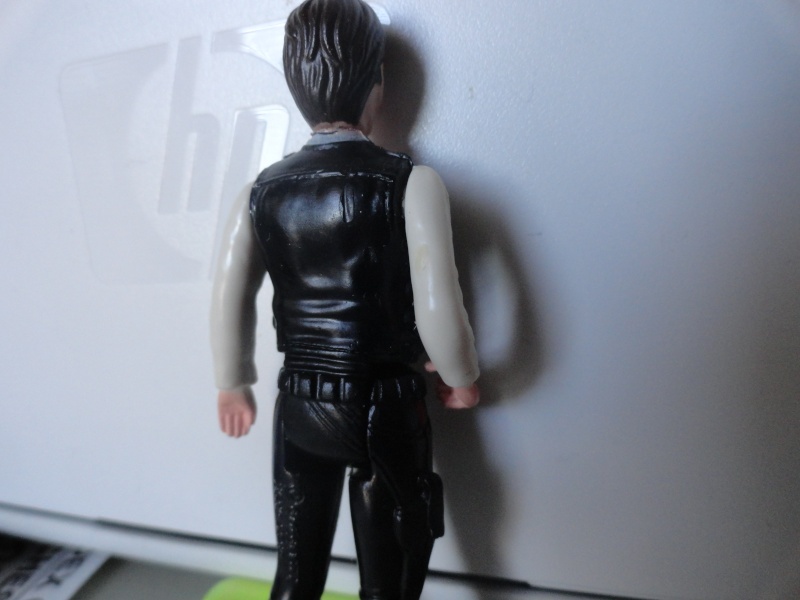 The PBP Han solo lacks a coo, so you can rule that one out. There are POCH hybrid figures, but I don't know enough about them to be able to comment. Hopefully others will give you their opinions. Where was the figure purchased? 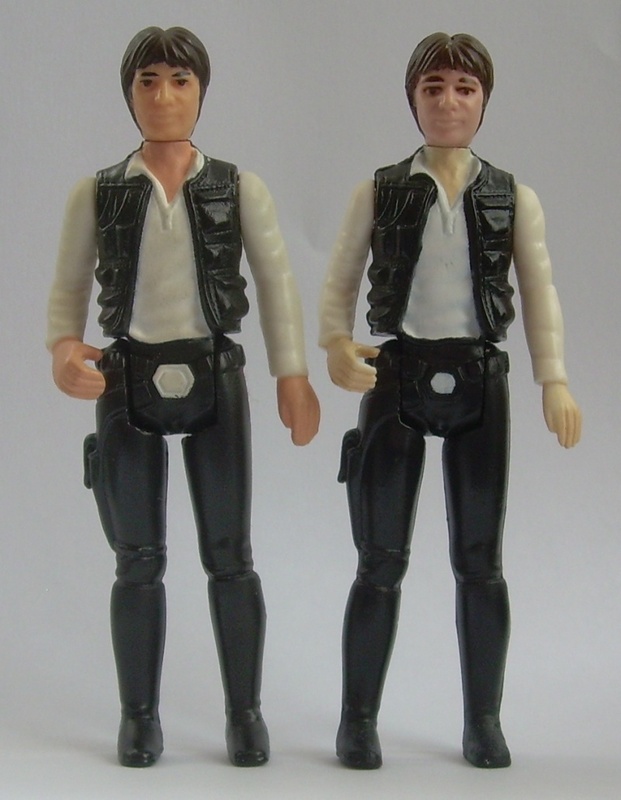 To me the Han figure looks like a Kenner release. 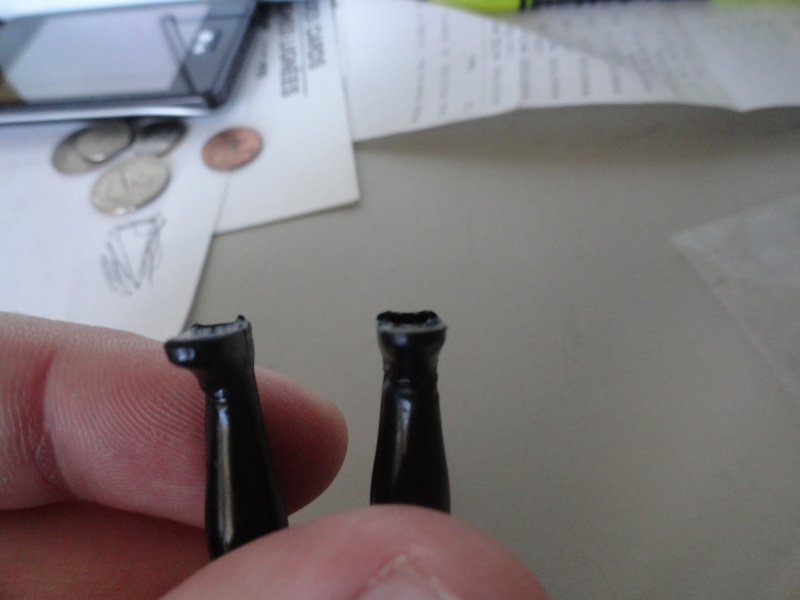 Like Steve said before, POCH has no monopoly on factory imperfections, Kenner figures can have them as well. Not sure why you think it is a POCH figure. Maybe it is because of the post below in which a Han was discussed with pink hands and Hong Kong COO from a Spanish childhood collection. My theory was then that this figure was a Kenner release which must have been imported by POCH and put on a early POCH card (32-back). I've also throw GLASSLITE into that statement, lots of factory imperfections, some shared coo's with euro figures and similar pale paint applications. Dengar I'm just asking if it was or not. To tell the truth I'm more confused about poch and pbp figures than ever before. I understand that Solo doesn't have the pale hands or neck and it doesn't have the small belt buckle but when I was reading the link I thought it could be since it does have melt marks and plastic extrusions at the bottom of the feet. 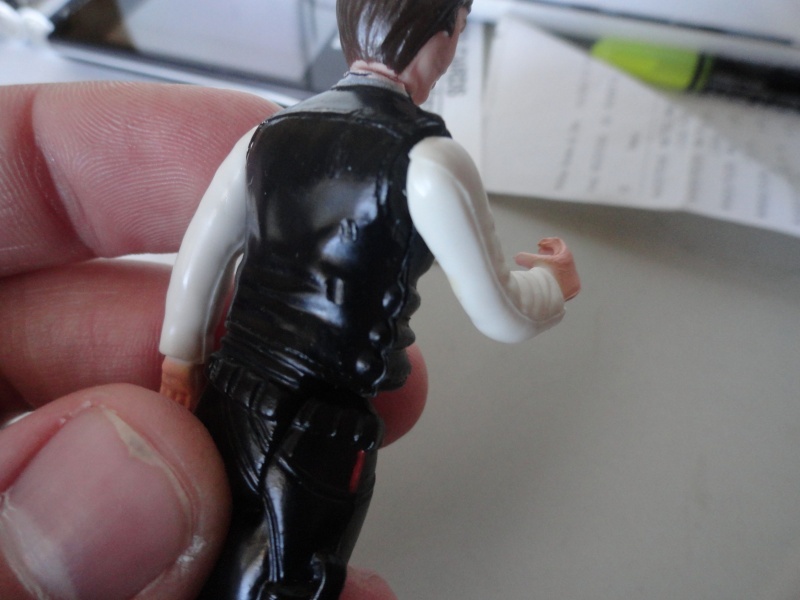 Also if I may note, that this Han Solo cannot stand up straight, the bottom half of one of the boot is not there. So that is my reasoning. Don't worry, you can ask as much as you like here on TIG. And your reasoning is OK.
Subject: Re: POCH Han Solo???????????????? ?